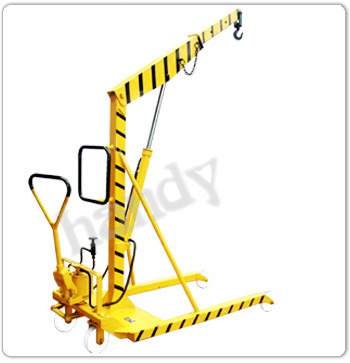 "handy" Hydraulic floor jib cranes are available with extendable boom, in 0.5,1,2,3,& 5 Ton capacity and vertical height reaching upto 4 meters. 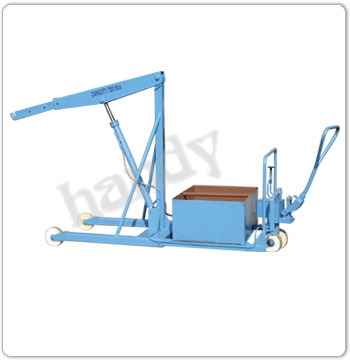 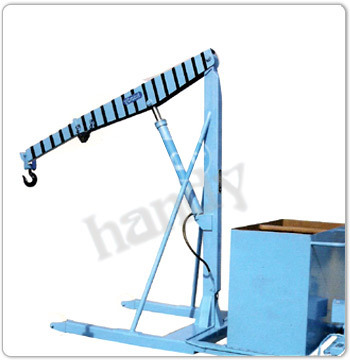 These are suitable for loading & unloading heavy material from trucks in the open yard and carry them inside the shop and for loading & unloading jobs on the machine tools. 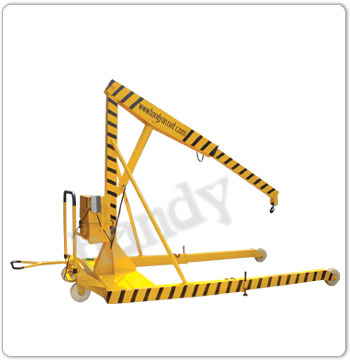 A single handle will pull, push and steer the wheels as well as operate the pump for lifting which is a great advantage in our design. 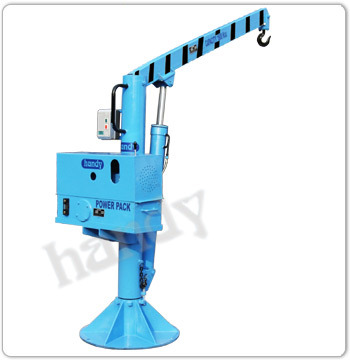 Which is not available with any other manufacturers in the country. 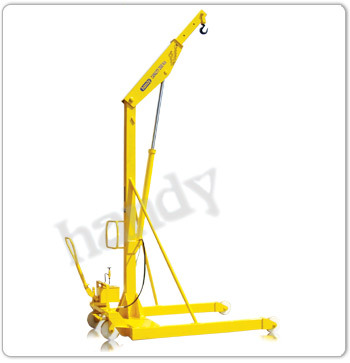 The Jib crane is also available in Electro Hydraulic Lifting & Battery Hydraulic Lifting version. 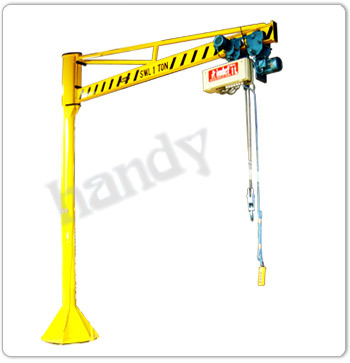 Lifting and Lowering done by a hand lever mounted on power pack placed on the front of Jib Crane.